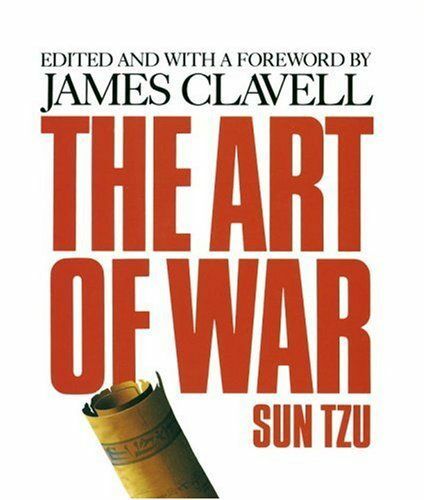 Summary: "The Art of War" is the Swiss army knife of military theory--pop out a different tool for any situation. Folded into this small package are compact views on resourcefulness, momentum, cunning, the profit motive, flexibility, integrity, secrecy, speed, positioning, surprise, deception, manipulation, responsibility, and practicality. Thomas Cleary's translation keeps the package tight, with crisp language and short sections. Commentaries from the Chinese tradition trail Sun-tzu's words, elaborating and picking up on puzzling lines. Take the solitary passage: "Do not eat food for their soldiers." Elsewhere, Sun-tzu has told us to plunder the enemy's stores, but now we're not supposed to eat the food? The Tang dynasty commentator Du Mu solves the puzzle nicely, "If the enemy suddenly abandons their food supplies, they should be tested first before eating, lest they be poisoned." Most passages, however, are the pinnacle of succinct clarity: "Lure them in with the prospect of gain, take them by confusion" or "Invincibility is in oneself, vulnerability is in the opponent." Sun-tzu's maxims are widely applicable beyond the military because they speak directly to the exigencies of survival. Your new tools will serve you well, but don't flaunt them. Remember Sun-tzu's advice: "Though effective, appear to be ineffective." "--Brian Bruya"